Seoul (VNA) – A Vietnam – Republic of Korea (RoK) cultural exchange festival was held in Seoul on August 27 to celebrate Vietnam’s 72nd National Day (September 2, 1945) and the 25th anniversary of bilateral diplomatic ties (December 22, 1992). 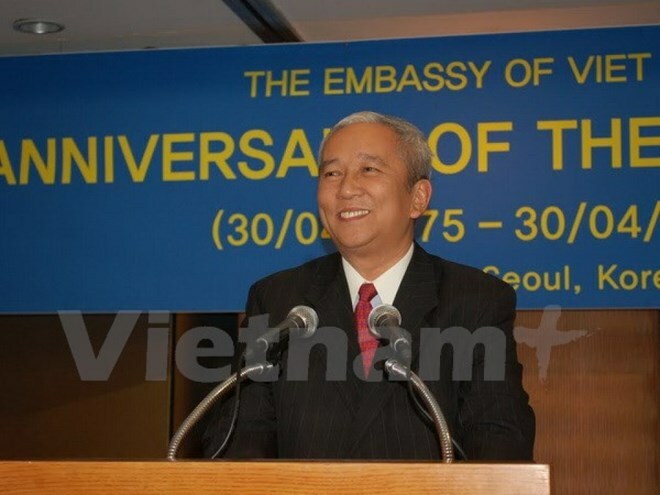 Vietnam’s Ambassador to the RoK Nguyen Vu Tu said more cultural and people-to-people exchanges have been held between the two countries, contributing to stepping up the bilateral friendship and mutual understanding. President of the Vietnamese Women’s Association in the RoK Mai Thi Hong Ngoc said that the event aimed at promoting Vietnam’s culture and people to Koreans and international friends. She expressed her hope that through art performances and Vietnamese cuisine, the festival will help tighten the friendship between the two countries which hold a lot of cultural similarities. Kim Hae-ryon, a representative from the Seoul city council, appreciated the contributions made by the Vietnamese community to her country’s development. She vowed to do her utmost to support the Vietnamese community and nurture the two countries’ relations.